Wow, what a weekend of both thrillers and upsets, with Bradford toppling the mighty Warrington, Wakefield stunning Hull and mighty clashes between many of the top sides in Super League. Down under the invincible Aussies matched the world record for straight test wins – but not before a huge scare – and new RLIF chief Nigel Wood outlines his plans to bring back the GB Lions. Also, Leeds Rhinos stars top our monthl awards – on and off the picth. They'll be over the Moon! 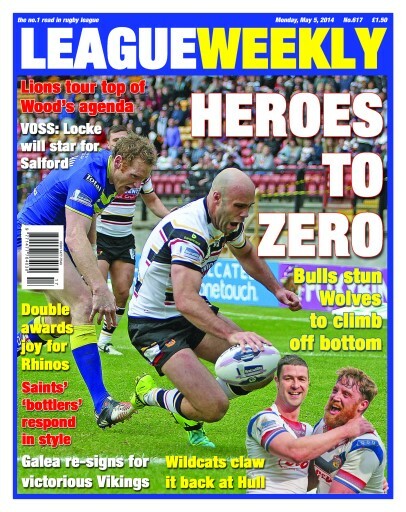 It's all here – and much more – in the unbeatable League Weekly.